Spending time in fellowship with one another is a large part of what makes Thompson Church more than just a group of people that worships together. We are a family that not only worships and prays together, but laughs and eats together. Below you can find information about some of our regular opportunities for fellowship; for specific details make sure to check our church calendar. Each Sunday we share fellowship before and after our worship services with a cup of coffee and a snack. This is a great way to get to know your church friends and it is a great volunteer opportunity. The best way to learn how to run a coffee hour is to tag along with folks you see in the kitchen- ask questions and lend a hand. You will quickly see just how easy it is to be part of this ministry! This is a ministry a family, small group, or a group of friends can do together. Sign up here to host a coffee hour. 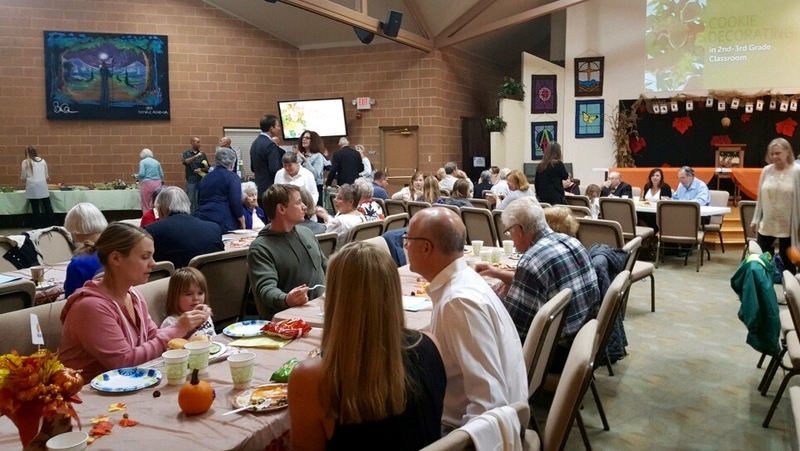 Throughout the year the Thompson Church family gathers in our Fellowship Hall to share a meal together. Sometimes these are around special events or holidays (like Thanksgiving), other times we just get together to enjoy each other's company. Check our upcoming events page to see what is happening in the coming months. 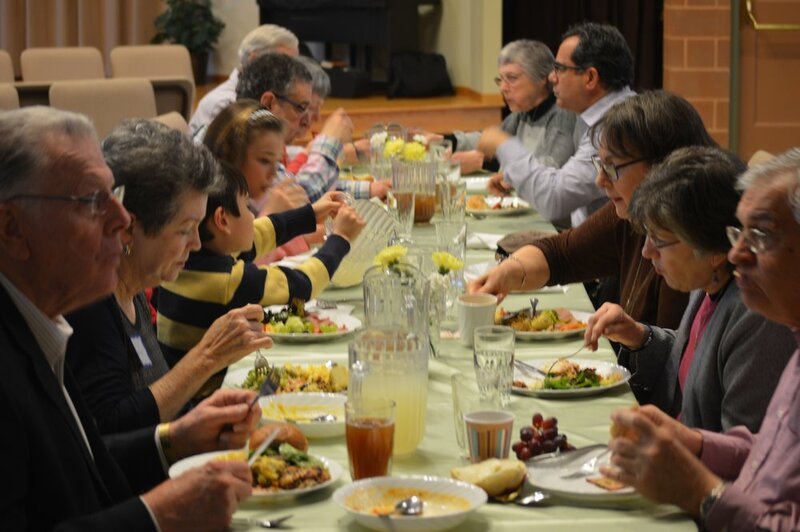 During the year the Fellowship Committee of Thompson Church organizes special events for church members and friends. These events cover a wide range of interests and involvement, but are geared to helping get members involved in our community and help our congregation get to know each other better. Some of our past events have been bringing in special speakers, having Movie Nights, our annual Fall Festival, and so much more. You can find information on these special events on our upcoming events page.